2019 summer dancefest - dates confirmed! ​Nic Gareiss, and more TBA. Classes in Ballet, Tap, Jazz, Modern, Musical Theatre, Swing, and more! For dancers approximately 9 & up. Required dance camp for dancers interested in involvement in Francis Performing Arts Company for 2019-20. Incredible experience, incredible price, in our home! Download the flyer - brochure, schedule and registration to come! Schedule and Registration Now Available! ​Download the registration form and get signed up! Discount for Early Registration Ends May 31! Goes up to $240 on June 1! Individual classes available for $20/class. Must register via mail using the registration form on the brochure. Online registration is for Unlimited classes only! ​9 & up. Required dance camp for dancers interested in involvement in Francis Performing Arts Company for 2018-19. Nic Gareiss, for Dance the Tune. Ariane Dolan from Lou Conte Dance Studio in Chicago, for Jazz and Swing. Richard Strimer from Chicago, for Tap, Musical Theatre and Swing. Ericka Goss from the St. Louis Ballet, for Ballet & Pre Pointe. Leah Seals from Spectrum Dance Theatre in Seattle, for Modern, Tap, and Salsa. Dance the Tune Workshop class! 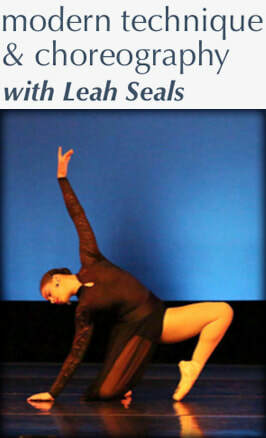 Leah Seals will be home to teach a special Modern Workshop class! for Level 3+ ballet, jazz, lyrical, Company dancers! Wonderful camp experience in Alma, at APA with guest artists Nic Gareiss, Abby Ladin, Ariane Dolan, Richard Strimer, Ericka Goss, Kristen Bennett, and Emily Doebler. Classes in Ballet, Tap, Jazz, Modern, Swing Clogging, and more! For dancers approximately 9 & up. Required dance camp for dancers interested in involvement in Francis Performing Arts Company for 2017-18. Kristen Bennett from Alma College, for Modern and Hip Hop. Emily Doebler from APA, for Tap. Throughout the years we have offered a variety of guest teacher workshops. By bringing instructors to you, we make awesome experiences in classes accessible and affordable, and eliminate or reduce travel and expensive overnights. Below is a description of our most recent Dance Fest workshop and summer camps. Jordan McCarthy will teach an ASL Lyrical piece again, starting with more ASL signing! Emily Doebler will teach Body Percussion. This is not tap – wear any shoes, or perhaps even barefoot! This will be a fun and unique class to explore. Hannah Faustmann will teach Highland Choreography. This combines Scottish Highland dance and ballet. Kate Troxell will join us for some Modern classes. Experience different dance concepts! Enroll by email or bring the bottom slip to class this week! ​Download the form and get signed up! Wonderful camp experience in Alma, at APA with guest artists Nic Gareiss (with fiddler Scotty Leach), Ariane Dolan, Richard Strimmer, Ericka Goss, Simone Boos, Emily Doebler and Kristin Batzner. Classes in Ballet, Tap, Jazz, Modern, Lyrical, Dance the Tune, Swing, Musical Theatre and more! For dancers approximately 9 & up. Required dance camp for dancers interested in involvement in Francis Performing Arts Company for 2016-17. 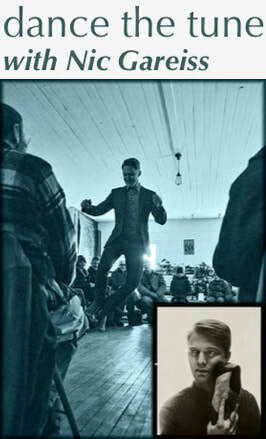 Nic Gareiss, for Dance the Tune, with fiddler Scotty Leach. Richard Strimer from Chicago, for Tap, Swing and Musical Theatre. Ericka Goss from the St. Louis Ballet, for Ballet & Pre-Pointe. Simone Boos from Surfscape in Orlando, for Lyrical and Modern. Emily Doebler from Mt. Pleasant for Tap. Kristin Batzner from redbloom in Mt. Pleasant for Yoga. Hip Hop & Tap with JP Krick - Friday, November 6! Contemporary with Jordan McIntosh - Tuesday, October 27! Modern and Barre Conditioning with Simone Boos - Friday, January 22! A variety of classes, age 3 & up, beginners & up! We are air-conditioned! Private or semi-private classes available upon request for Level 3+ dancers during weeks listed below. Contact Kathy for more information (463-2983 or apafrancis@apafrancis.com). Download the revised registration form for complete class descriptions, times and prices. Jordan McIntosh, guest artist at APA!